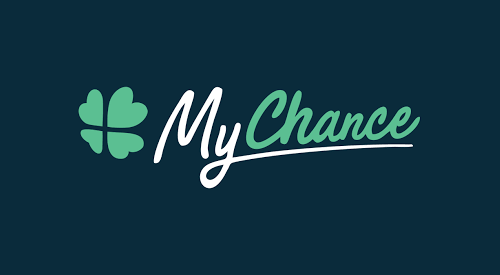 Launched in late 2017, MyChance Casino is a gaming site developed by the same people standing behind Bethard brands, a very successful player in the gaming industry. Having joined forces with some of the leading software developers, including Betsoft, Microgaming, and NetEnt, MyChance Casino offers a thrilling gaming experience to players; whether you’re an amateur or a professional, you’re covered. The fact that the site provides generous bonuses, and looks excellent is perhaps what makes it stand out from the crowd. Of course, it goes without mentioning; the casino’s propensity for mobile gaming also makes it exceptionally popular amongst its players. Featuring almost every principal payment method, MyChance definitely projects the right image. MyChance Casino boasts a great selection of games. As mentioned earlier, the casino partners with the likes of NetEnt, Betsoft, and Microgaming, so you can’t expect anything less than an impressive collection of games even though the site is less than a year old. These game developers are known to create some of the most prominent progressive jackpot slots in the casino industry. If you’re seeking 3-D graphics slots, any experienced casino player will tell you that Betsoft offers some of the best. All the games at MyChance are mobile-friendly, and they are compatible with both Android and iOS devices. The site is well-designed, making it easy for any player, whether novice or experienced, to filter games according to their preferences. Slots constitute the bulk of games at MyChance Casino. Classic titles, including Dazzle Me, Deco Diamonds, and The Legend of Shangri-La, are all available. You can also expect other popular titles like Planet of the Apes, Wolf Cub, Blood Suckers II, Subtopia, Highlander, and Spinata Grande. It's interesting to note that you will find almost all the latest slots on MyChance as the site rarely disappoints when it comes to offering the most recent games as soon as they are unveiled by the software developers. For those who love winning colossal cash, the site is home to several progressive jackpot slots, and players can choose between Mega Moolah, Empire Fortune, and Joker Millions. When it comes to table games, MyChance boasts an impressive lineup, and many of them are compatible with real dealers. Classic versions of blackjack, roulette, and baccarat are all available. Casino War and Dream Catcher are some of the table games that you can play against a real dealer at MyChance Live Casino. The site also invites you to try your luck at exotic games. For those seeking to try out something new without minding low stakes, a dedicated collection of casual games is also in place for them. Classic games, such as Jacks or Better, Aces, and Deuces Wild, are also listed for those who love poker; you don’t need to seek your enjoyment anywhere else.